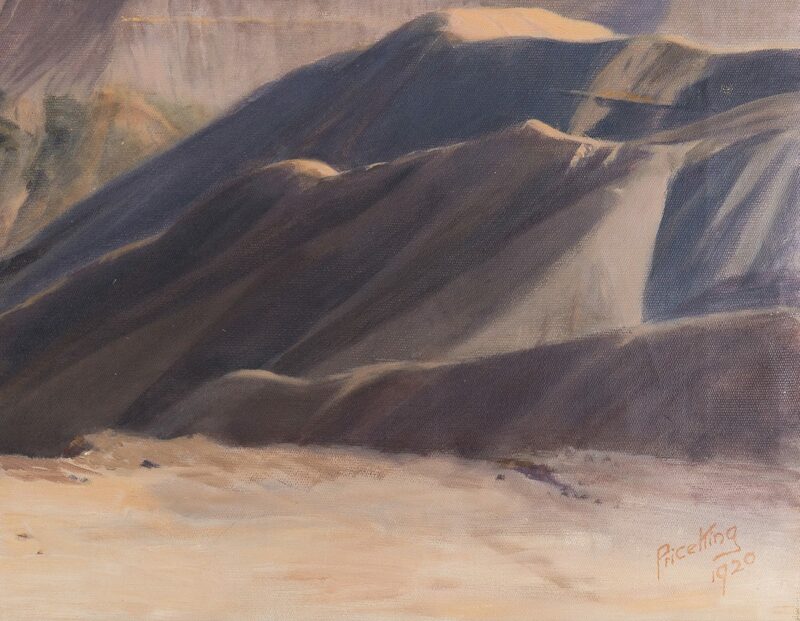 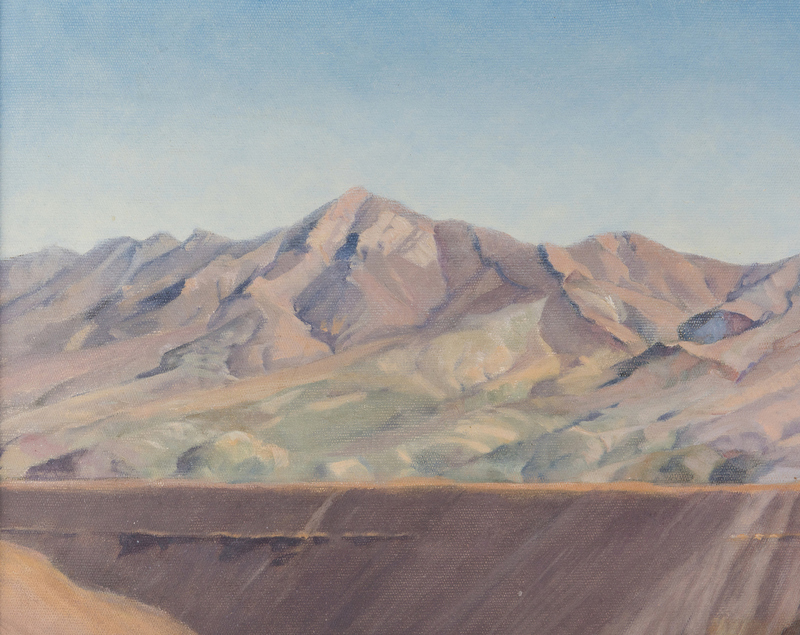 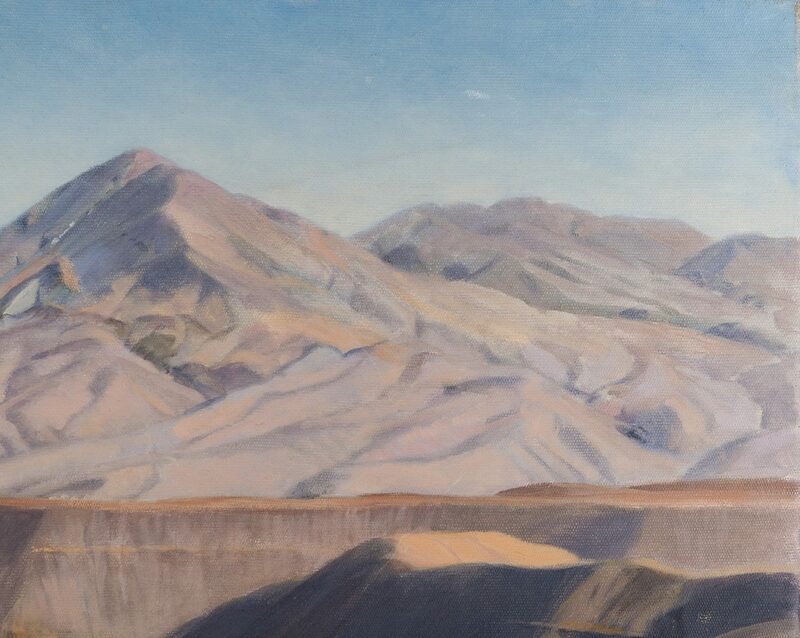 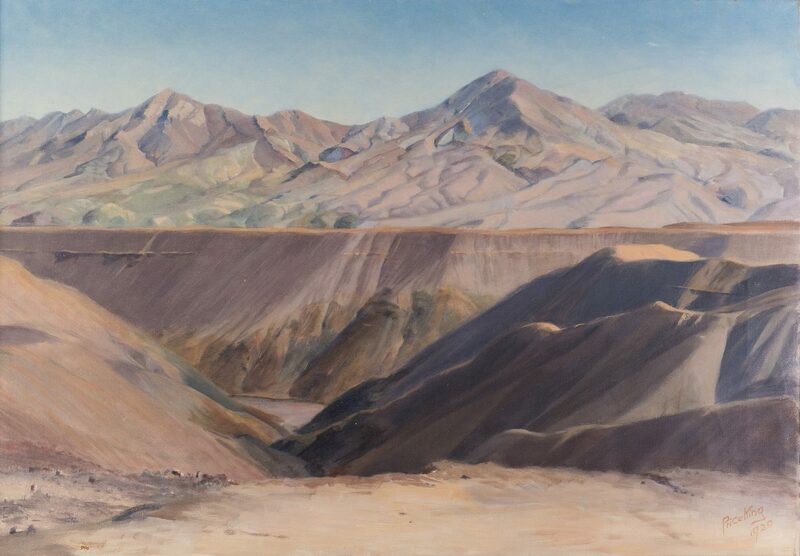 Alice Price King (British, active 1907-1922) oil on canvas painting depicting a desert landscape, likely in Chile. 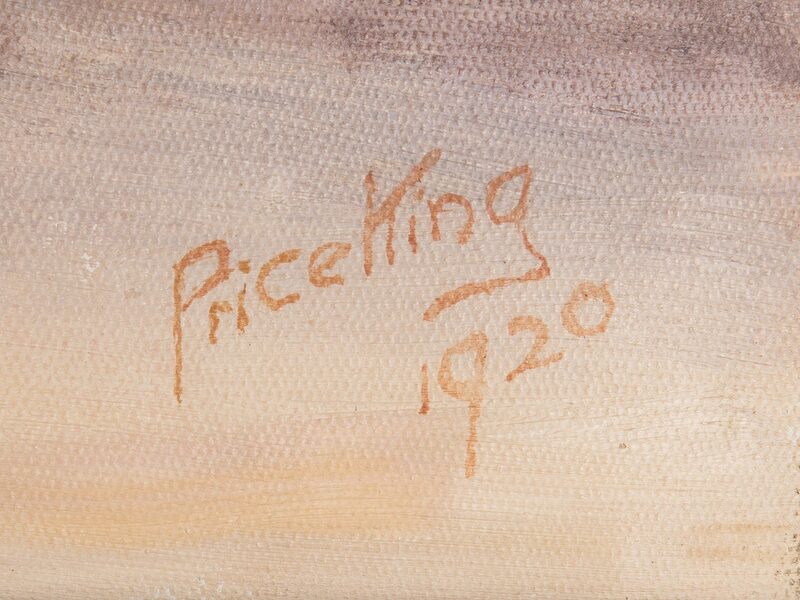 Signed and dated lower right "Price King/1920" and housed in the original carved gilt wood frame with gilt wood liner. 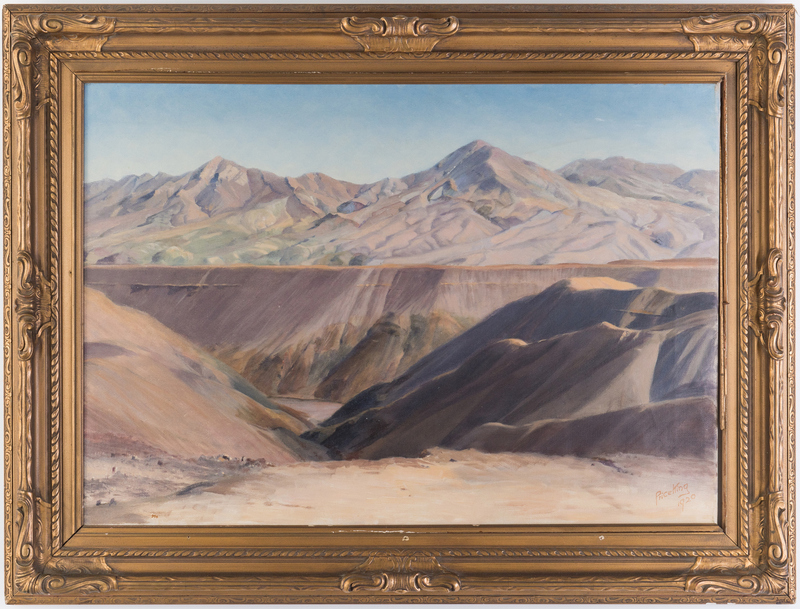 Sight – 20 5/8" H x 29 5/8" W. Framed – 28 1/4" H x 37" W. Early 20th century. Provenance: Brad Swanson Collection, Abingdon, VA. 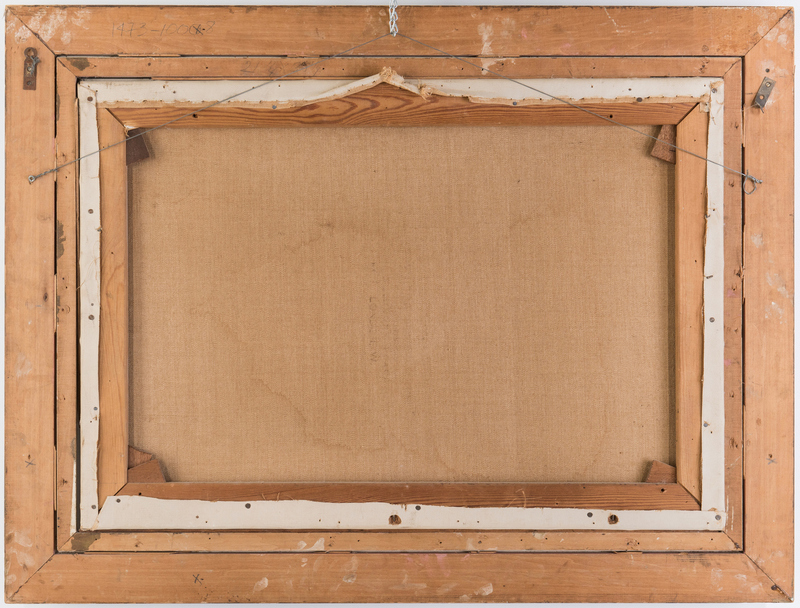 CONDITION: Gilt liner separating from to frame margin, right side gilt liner damaged, partially missing. 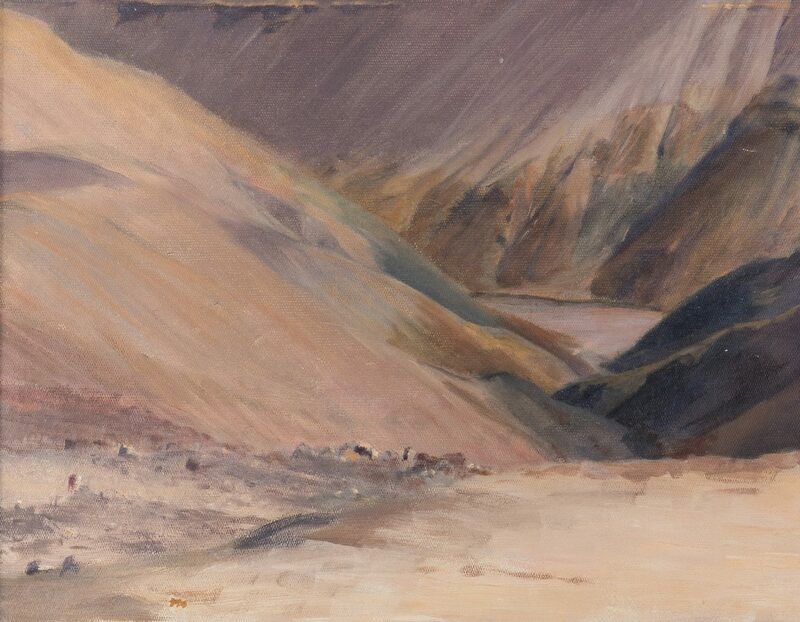 Scattered abrasions to frame. 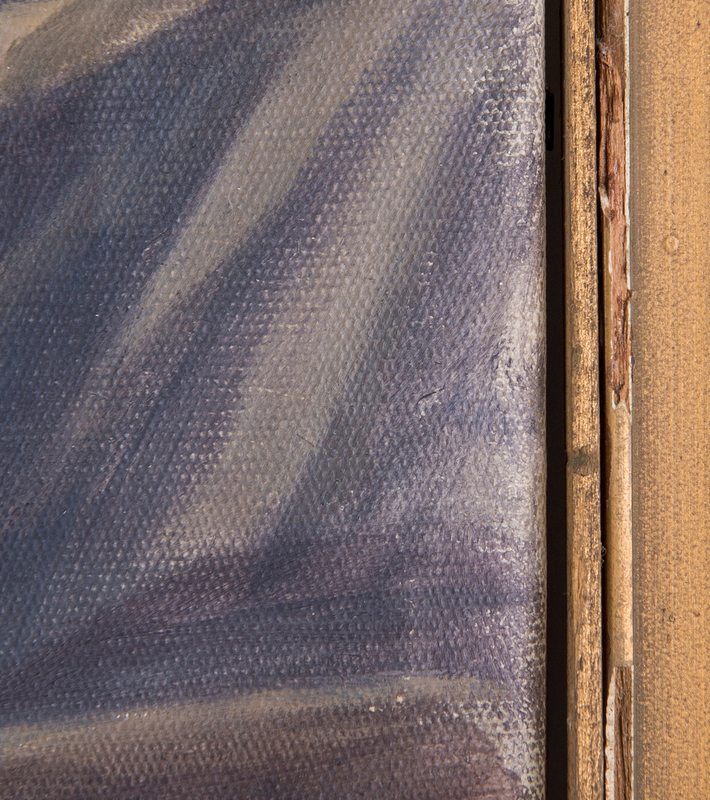 Canvas in overall good condition.